How many times have you been to a listing presentation where you actually had to convince the potential client not to sell their home FSBO? 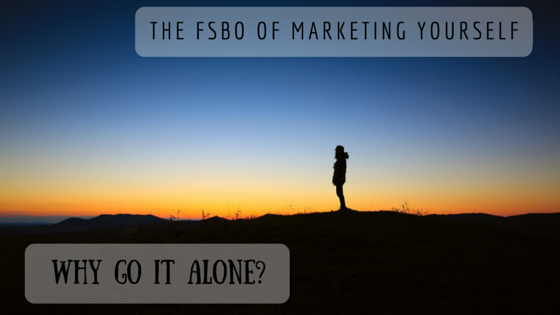 There are far too many sellers that think a FSBO would be easy. It’s amazing that you have to assure them that you actually provide significant value as a real estate agent. You are not only selling yourself, but you’re selling the seller on the entire Realtor profession! On top of that, you explain that they won’t be able to market their home as efficiently, they don’t have the expertise to manage the paperwork and the process, as well as a handful of other reasons. Then you hit them with the coup de grace: You’re the Realtor who took the training classes, got the Realtor license, and have successfully sold homes like theirs. They are a <insert profession here>, not a Realtor. They don’t have the time. They don’t have the knowledge. Selling real estate is what you do, so they should hire you, the professional, to sell their home. Even an average Realtor can walk this potential client off the ledge and get them to understand the value of a Realtor over selling their house FSBO. When asked what they do, most real estate agents say they “sell houses”. But during these listing presentations, they also have to sell themselves, their services, their skills, and their competence. Not only are they competing against FSBO in our example, but they are also likely competing against other Realtors for that listing. But that’s not all real estate agents actually do. How much of your day is spent doing everything except selling houses and selling yourself? Do you even remember everything that you have to do today for your real estate business? How many days go something like this as a Realtor? Collected an earnest money check to be deposited into escrow. Today you are an Accountant. Even though that house your put an offer on is actually the dream home for your client, you had to convince the seller’s agent that the broken dishwasher was an absolute deal breaker for your client. In order for the deal to go through, they have to accept your offer as is. Today you are a Negotiator. Talked with that same client who really couldn’t afford the asking price, but really wanted their dream house. You had to convince them trust you with the broken dishwasher story. Today you are a Psychologist. You’re not supposed to give financial advice to your clients. But you had to translate what their lender said about the economic difference between a 7/1 ARM and 30 year fixed rate mortgage, and which one may be better for their situation. Today you are a Financial Advisor. Reviewed the copy for your next direct mail piece, and segmented your list to select who it would get mailed to. Today you are a Marketer. Photocopied, screened phone calls, loaded documents to Docusign. Today you are a Secretary. Drove your client around to view 3 houses. Today you are a Chauffeur. Called your IDX provider tech support, because the Featured Properties component wasn’t integrating properly on your sidebar, and you wanted their opinion on using the IDX Contact Form pop up or if you should install a plugin for that. Today you are a Website Developer. Sounds like just a sample of the things you have to do on a daily basis, right? Pretty easy tasks, but they are all just time consuming. So time management is the key to making sure everything gets done without…. wait, was “website developer” on the list? Website developer? People make careers out of making websites. Websites take time to make, they can require a lot of technical knowledge, and it is critical to have a design that converts visitors into leads. There are services available that make it relatively easy for non-technical people to make their own website. These are companies like Wix, Squarespace, and Weebly to name a few. Those services allow people to get the job done, and some Realtors have made good looking websites. But they obviously come with some drawbacks. A professionally built website will have many benefits over a do-it-yourself website. The integration of IDX, more efficient coding leading to faster load speeds, enhanced features, and reliable hosting are just some of the benefits that all real estate website developers can provide. A good website developer will be able to make a website that converts more leads, provide guidance on the type of content to include, optimize for SEO, and many other technical features that take time to learn and experience to master. Why would a Realtor use a do-it-yourself service to make their own website? Why would they not hire a professional to make their website? Why would a home seller choose to sell it FSBO? Why would they not hire a Realtor to sell their house for them? Do you see what I did there? I compared a Realtor making their own website to a home seller trying to sell their home FSBO, just in case you didn’t catch the subtlety. But when a homeowner needs to sell their home, or you need a website, then hiring a professional will ensure that it is done properly and done well. Websites are a very important component of a real estate agent’s marketing and branding strategy. Hiring a real estate website developer is a financial investment. And it’s probably more of an investment than most real estate agents want to make. But financial cost is the primary reason that home sellers decide they can sell their home FSBO. So let professionals do what they were trained to do. Website developers are experts at making websites to help market real estate agents. And real estate agents are experts in the housing market to help market sellers home.